Dawn Benko is an award winning photographer based in Northwestern New Jersey. Her passion for capturing “the moment” has seen her through an A.S. degree in photographic technology at Florida Institute of Technology and a twenty-seven-year photojournalism career in her native New Jersey. 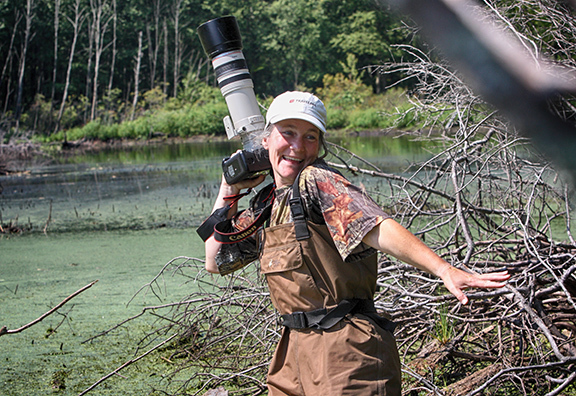 In 2007, she began in earnest to pursue her true passion—nature and wildlife photography. With this blog, Dawn will take you on a journey through her beloved New Jersey, a state widely misunderstood by the masses. There is no shortage of beauty and wildlife, from the swamps of the northern forests to the swamps of the southern pinelands. Notice a recurring theme, here? Yeah, she really loves swamps. Despite her late start, she feels there is plenty of time left to become New Jersey’s preeminent crazy swamp lady.